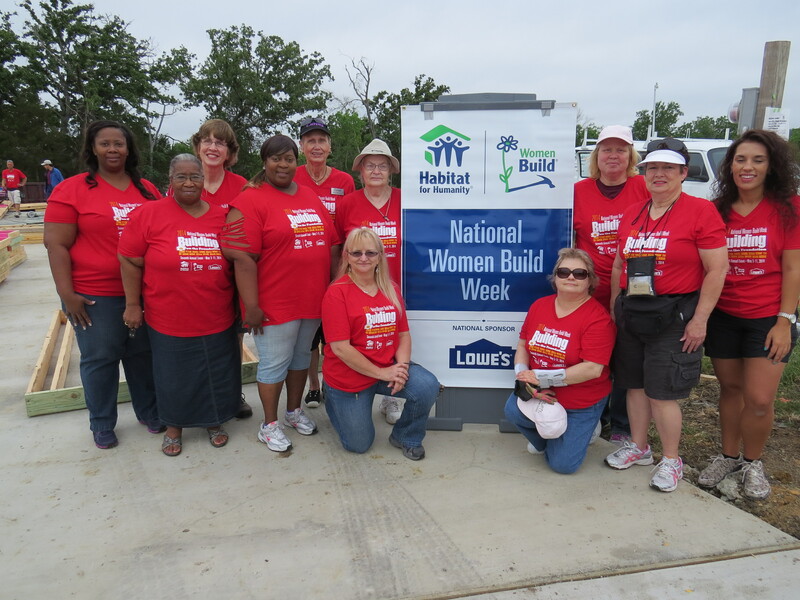 Local women volunteered Saturday, May 10, on a B/CS Habitat for Humanity construction site in recognition of National Women Build Week, May 3-11. Volunteers from Curves raise the walls. 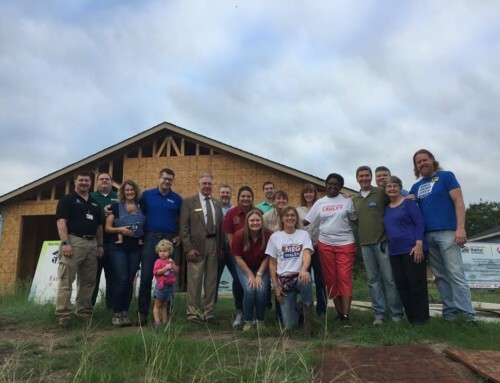 The volunteers raised the walls of the new house, the first day of construction on a new home for the Robertson Family in Habitat’s Angels Gate Subdivision in Bryan. It’s an exciting day for Patricia Robertson, the future homeowner, and her children. 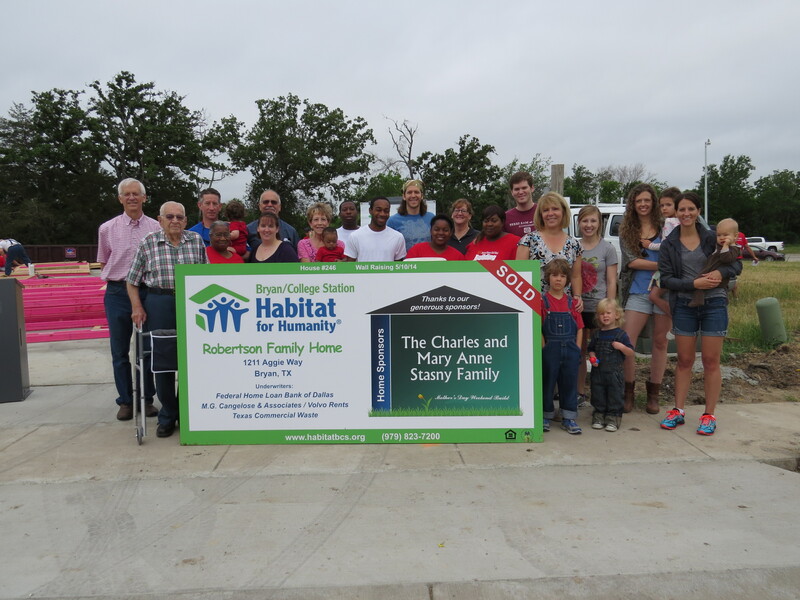 The home is made possible by a generous financial sponsorship from the Charles and Mary Anne Stasny Family. Charles and Mary Anne’s four children wanted to honor their parents with the sponsorship, lifelong residents and active supporters of the Bryan community. Lowe’s helped launch National Women Build Week in 2008 and each year provides the support of Lowe’s Heroes and conducts how-to clinics at stores to teach volunteers construction skills. Lowe’s donated $1.75 million to this year’s National Women Build Week, including a $5,000 store gift card to B/CS Habitat for Humanity as part of a new five-year partnership with Habitat that will bring Lowe’s total contributions to more than $63 million since 2003. 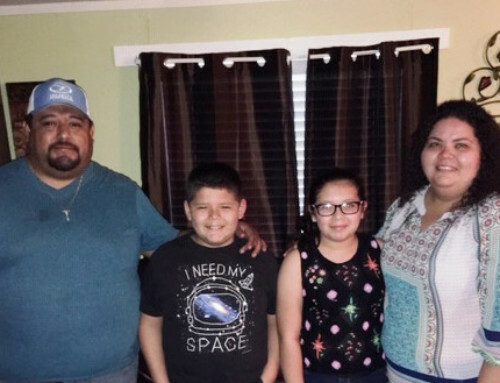 In celebration of this renewed partnership, Lowe’s and Habitat launched Hammers for Habitat, a volunteer initiative inviting men and women across America to give one day to help make the dream of homeownership a reality for a family in their community. To learn more, visit Habitat.org/Lowes. The Stasny and Robertson Families. The U.S. Census Bureau reports more than 16.1 million children are living in poverty in the United States. Nearly 24 percent of children reside with women heads-of-household. 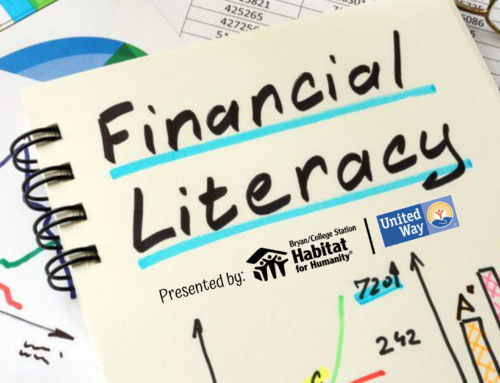 In Bryan/College Station an estimated 3,000 families are in need of affordable housing. 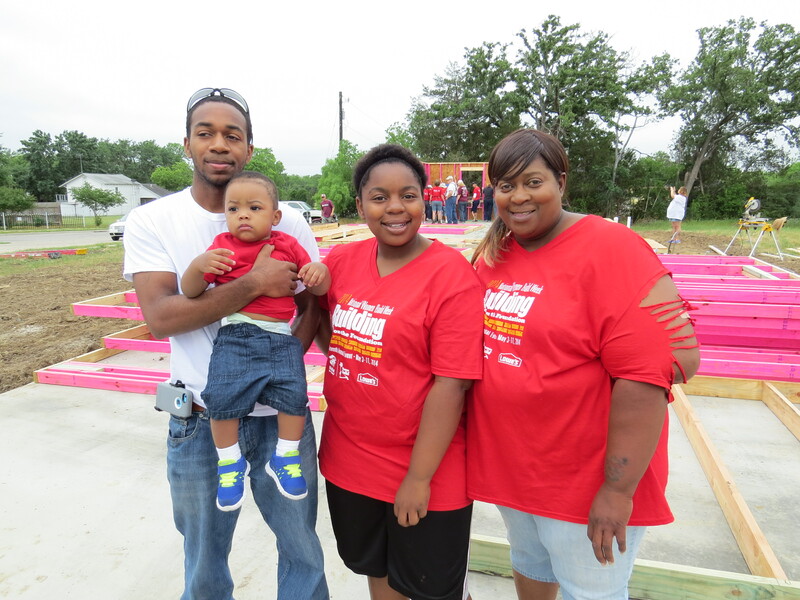 Patricia Robertson, the future homeowner, with her two youngest children and grandchild. Habitat’s Women Build program recruits, educates and inspires women to build and advocate for simple, decent and affordable homes in their communities. Since the program was created in 1998, more than 2,200 homes have been built in partnership with low-income families using Women Build crews. More than 52,000 women from all 50 states have volunteered at the six previous Women Build Week events.